AJECTA the French steam museum » NORD 3.628 : Welcome to you ! > NORD 3.628 : Welcome to you ! 230 D 116, seen before his return. AJECTA went buyer of this magnificent machine. She is at present parked to the Nene Valley Railway to Petersborough in England. The crossing of the sleeve and its repatriation are imminent. It’s a first step, because the restoration will need time, a lot of patience, money and especially volunteers. 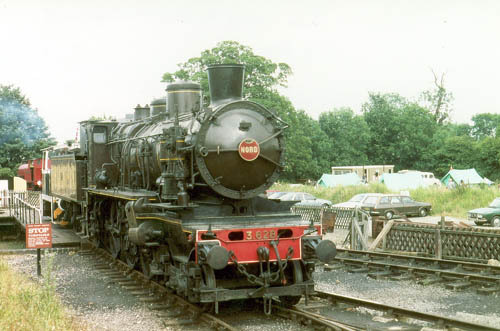 230 D 116 in 1986. 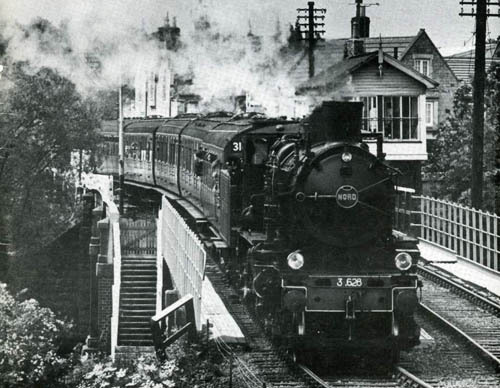 She is bought in 1971, under her livery SNCF (FRENCH NATIONAL RAILWAY COMPANY) and numbered 230 D 116, by 4 persons who formed the » NORTH LOCOMOTIVE CONSERVATION GROUP » at Ashford (50km of London). In 1975, she joins the Nene Valley Railway museum to Peterborough, whom she will not leave until today. 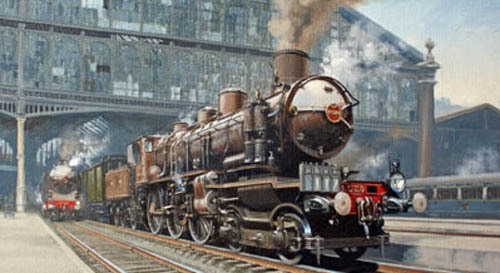 She is repainted in « chocolate » with her former number « 3.628″, state of origin she had on the North Railways beffore 1938. She will remain in service to tow trains on this small network of conservation between 1977 and 1980. 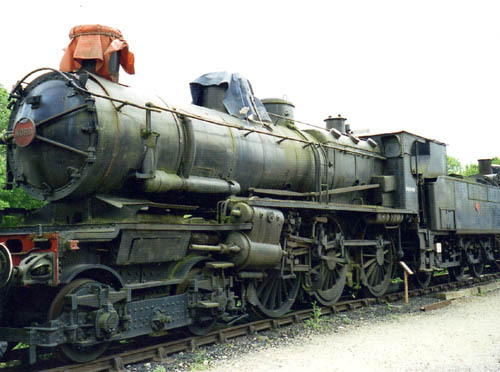 It is in this date when she is acquired by National Railway Museum which had, with the SNCF SOCIETY, a project of restoration. But she is sold again in 1994. 3.628 painted by Chris Ludlow. La 230 D 116 possède un échappement Lemaître ; elle est accouplée à un tender 23 A.